I have a Gateway E-3600 Tower PC bought on eBay a few years ago. The computer "died" just months after purchase, and sat in storage ever since it stopped running. 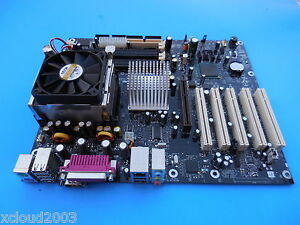 I bought the Intel D875PBZ to repair and, at the same time, upgrade this PC. With 4GB of memory also bought on eBay, I now have a fast, highly capable computer which I am using to produce this review.